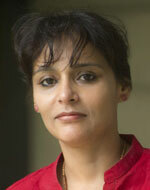 Ritu Gairola Khanduri, the author of Caricaturing Culture in India: Cartoons and History in the Modern World, reacts to the Charlie Hebdo attack, commenting on the complex global history and tension between cartoons and politics. The storming of the Charlie Hebdo office and Paris shooting that left four cartoonists and a dozen more dead has given a sobering start to the new year. It might surprise us that it took cartoons to unleash violence and an unprecedented show of solidarity among several of the world’s leaders and an impassioned public in Paris. Everyone is Charlie. In the words of the French President Francois Hollande: “Paris is the capital of the world.” That makes France the world. Cartoons mobilize. Facebook pages, Twittersphere and the media are abuzz with debate about the meaning of free speech. Quickly thoughts dart from free speech to politics in France, and the marginalization of Islam. Most commentators brave the distinction, to put it simply, between good Islam and bad Islam—its radical incarnation and the scourge of the world. Such clarifications ensure offense is not taken by those who follow Islam. It also presents the expectation for good Muslims to join the protest in solidarity. After all one of the police officers killed in Paris was Muslim. As if to anticipate such feverish times blur common sense, images circulate in social media, pointing to the slain police officer (the good Muslim) and the crouching terrorist (the bad Muslim). Such messy times brook no ambiguity. Even when we are dealing with caricatures and cartoons—images of intense ambiguity. The pressure mounts on all fronts. Talking heads roll the data. We are all informed. But not necessarily better informed. We are also informed in other ways. A reader pointed in a comment on the photograph of German Chancellor Angela Merkel and her counterparts, stoic with arms locked in Paris: these leaders have now been photographed in their support of free speech. They had better be sure to mete the same freedom to their own cartoonists and others when they return home. Akin to the calibration of the good and bad Muslim/terrorist, we now have a calibration of liberalism too: liberal and “ultra liberal.” Is the ‘ultra liberal” a new category of terrorist? We are captive to calibrated times. Global attention to caricatures of the Prophet Mohammed is not without precedence. In 2005, after the failure of protracted discussion and series of petitions, several communities rose against the Danish newspaper Jyllands Posten for publishing the offensive caricatures. Then too violence ensued. Then too free speech was debated. Then too Islam was debated. Then too we were asked to sort out our relationship with images, especially of the potentially virulent sort—caricatures and cartoons. What is it about cartoons that invites offense, protest, violence and unwavering allegiance to free speech? Do cartoons divide? Have the senses of humor become the new yardstick for situating our politics? 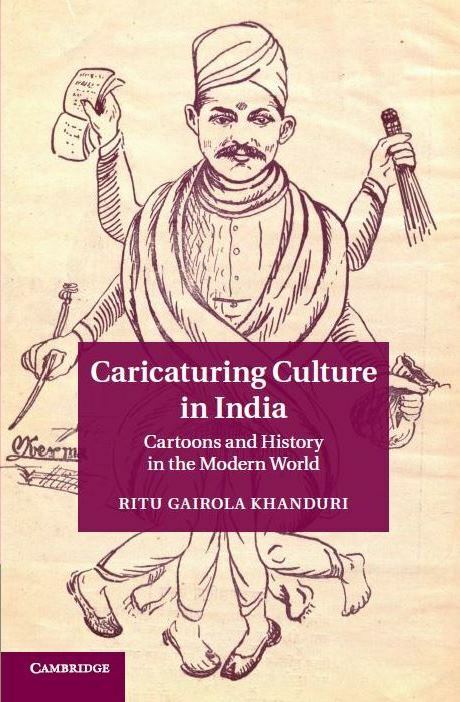 My recently published book, Caricaturing Culture in India: Cartoons and History in the Modern World (Cambridge University Press, 2014), grapples with these questions. 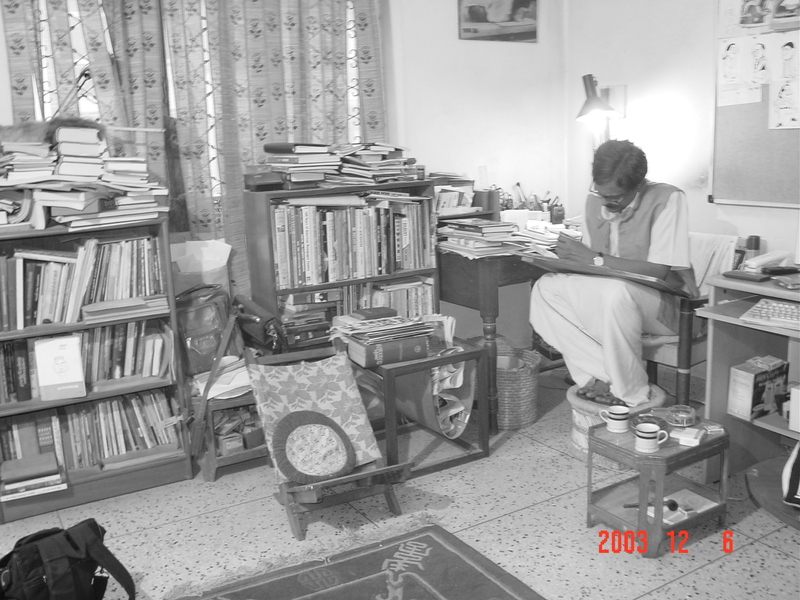 I interweave a history of the making of the profession of cartooning in India with a parallel narrative of a refusal to laugh. Refusal to laugh does not evidence the absence of a sense a humor. When I began research for my book, cartoons had not yet commanded the attention they do today. That changed in 2005, when I concluded a chunk of my ethnographic research in India, with the Jylland Posten Prophet Mohammad cartoon controversy (also called the Danish cartoon controversy). Now, barely a few months since my book’s publication, the Charlie Hebdo incident has made cartoons all the rage. While these two episodes surely and certainly provide a startling context for placing the significance of cartoons in the modern world, my research pre-empted the debates about cartoons as the site for rethinking liberal politics and the limits to free speech. It did so by tracking a long history of cartoons in India and by showing how cartoons were a special category of images that served as a springboard to challenge liberal politics. Questioning the humor in cartoons in India does not slot one as illiberal. In fact it can be the most liberal act to perform. Confrontations over the meaning of cartoons, which were undoubtedly political even when cloaked as social (the distinction is blurry) in colonial and contemporary India, provide a route to trace articulations of liberal politics. This takes the discussion of liberal politics beyond the domain of political theorists to actors engaged in the everyday life of the cartoons I researched: newspaper editors, colonial officials, Gandhi, Jinnah, prominent cartoonists such as Shankar, Kutty, Puri, Unny, and Yesudasan (image above), newspaper readers, community leaders, and the Press Council of India—a quasi-judicial body that mediates complaints by and against the press in India. The story of cartoons that my book tells is the story of a visual experience in India. It shows how images move us. Emotionally, sensorially and politically. The story of cartoons is remarkable for reminding us that when we turn to caricatures and cartoons we take the first steps to venture beyond our comfort zone and ask searching questions about what it means to be liberal in these modern times.